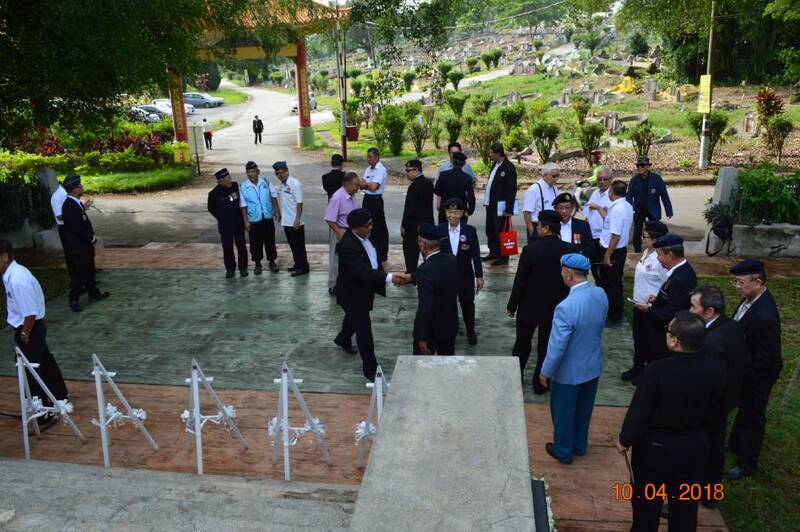 MACVs and Guest at Rebuilt Memorial, Hokkien Cemetery Kuala Lumpur. 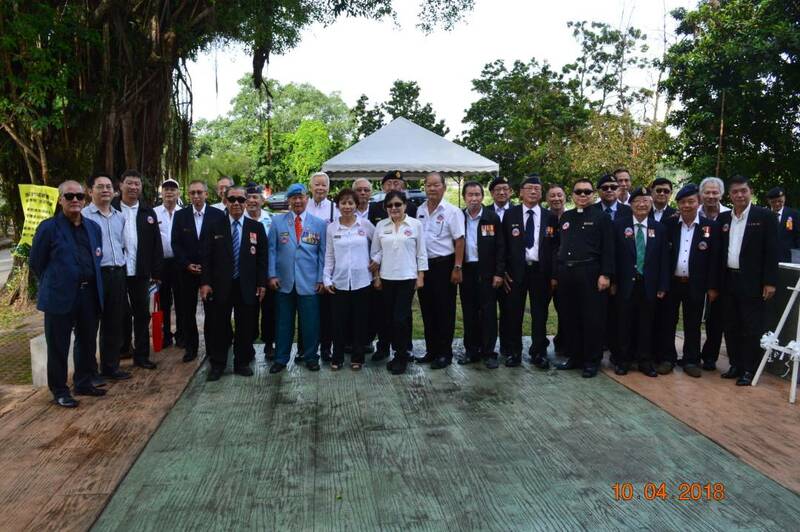 Malaysian Armed Forces Chinese Veterans Association (MACVA) recently held a Remembrance Day to pay respects to victims and heroes of the World War II in conjunction with this year Chinese Qing Ming observations from 26 Mar 18 till 15 Apr 18. 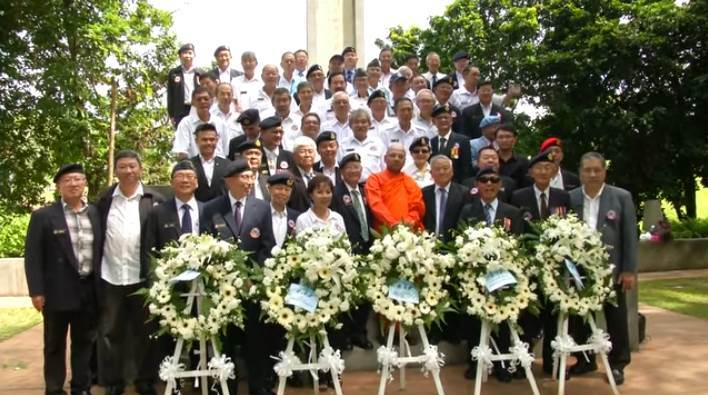 The event took place at the Rebuilt Memorial To Malayan Victims Of The Japanese Occupation located at the Hokkien Cemetery, Jalan Kerayong, Kuala Lumpur at 10.00 am Tuesday, 10 Apr 18. Within the Hokkien Cemetery were buried 800 brutally murdered men and women together with more than 500 resistance fighters and dozens more who were buried alive. The Memorial was erected to honour and remember them and to allow the general public to pay their respect on the 15th of August each year. 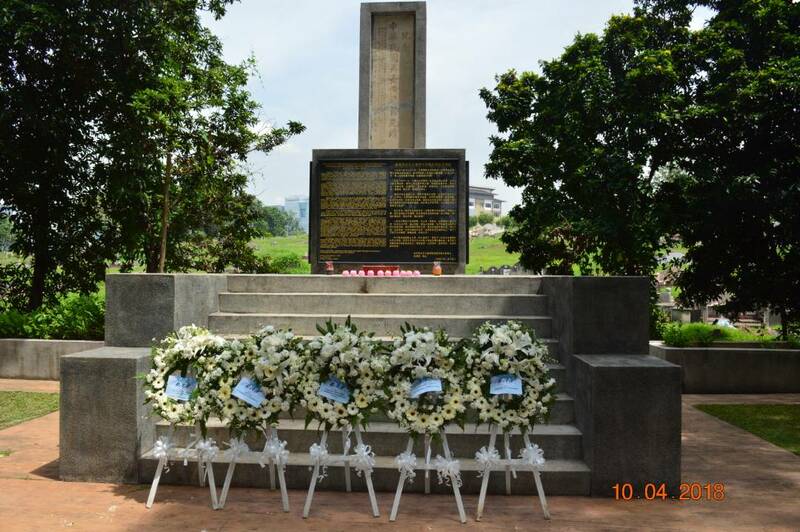 MACVA hopes to serve a continual reminder to the general public, in order that this Memorial and the sacrifices that were made shall not be forgotten or slowly relegated into the country's forgotten annals. Rebuilt Memorial To Malayan Victims Of The Japanese Occupations. The proceeding begins with a speech by MACVA President Maj Tan Pauson (Rtd). This was followed by the reading of the Memorial epitaph in English by Maj Lim Wai Fah RMAF (Rtd) and the reading in Mandarin by WO2 Hong Swee Chui (Rtd). Chief Reverend Dhammaratana was invited to conduct the Buddhist prayer followed by Pastor Richard Moh Hoi Nyen who conducted the Christian prayer. Mr Le Cheng Hoon, Hokkien Cemetery Kuala Lumpur. Mr George Yong, WW II History Society, Selangor and Kuala Lumpur Assembly Hall. Dato' Ng Wee Yiew, Chinese Chamber of Commerce. Brig Gen Dato' Ng Chin Huat (Rtd) for Federation of Chinese Associations Malaysia. Maj Tan Pauson (Rtd), Malaysian Armed Forces Chinese Veterans Association. MACVA Group Photo after the ceremony. A total of 82 MACVs including invited guests and media attended the occasion which was very well received and appreciated by the WW II History Society of Chinese Assembly Hall of Kuala Lumpur and selangor. The Society Secretariat General extended an invitation to MACVA to the WW II History Society annual ceremony at the Memorial to be held on 15 August 2018. The President of MACVA extended his thanks to everyone who had worked hard to ensure that the Remembrance Day was held with great success and was very appreciative of members support from RMAF Veterans, Northern and East Coast Chapters. Kudos to Maj Lim Wai Fah RMAF (Rtd), Organising Chairman and his hard working committee members for a splendid job. Thank you to the President for kindly hosting lunch for all members and guest at the Noble House Chinese Restaurants after the ceremony. 8TV News of event aired on 10 Apr 18. Copyright © 2018 MCIL Multimedia Sdn Bhd (515740-D). All rights reserved.